Ace Attorney is a 2016 Japanese mystery drama anime series produced by A-1 Pictures, originally based on the Ace Attorney series of visual novels created by Capcom. It is directed by Ayumu Watanabe and written by Atsuhiro Tomioka. The anime's official website has revealed that the anime of Capcom's Ace Attorney (Gyakuten Saiban) will premiere on April 2nd, 2016. Throwback Thursday Video games is back! 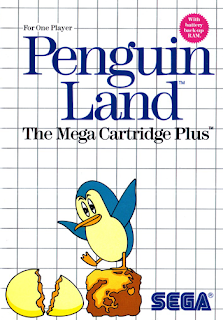 This week I am highlighting a favorite of my youth, Penguin Land. I am not sure how many people actually played this game but I very much enjoyed this. 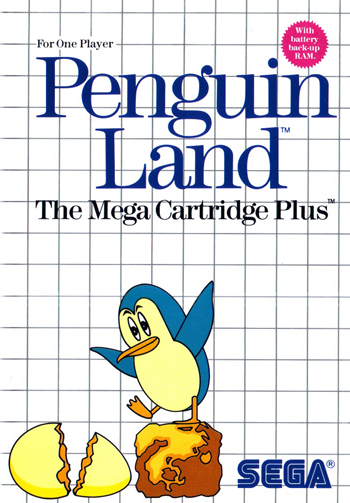 History: Penguin Land is a Sega Master System game and the second game in the Doki Doki Penguin Land series from August 18, 1987. 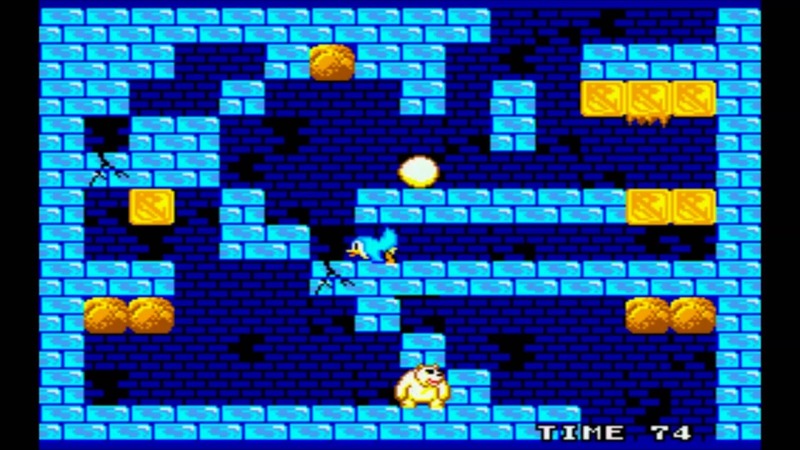 In this game you play as a penguin going through a puzzle platformer stage and try to guide your egg around the polar bears, rocks, and other hazards to the end of the stage. The game has a total of 50 stages and a level editor which can save up to 15 additional levels. The level editor data is stored on the game's battery back-up RAM. The game begins where three penguin eggs are lost on a distant planet. The player controls the Penguin Mission Commander Overbite, who must guide these eggs down to the bottom of a frigid cavern filled with traps, enemies, and secret passages. The Spaceship Crew eagerly awaits at the bottom of this cavern to welcome the hero Overbite and carry the eggs to safety. 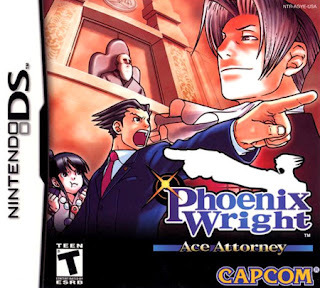 Fangirl Thoughts: This game was so much fun and heartbreaking at the same time. I really thought of this as my console Lemmings game. It was a great puzzler that would you leave you stomped and made when your egg is broken. I enjoyed sitting for hours trying to figure out how to get that stupid egg from the top of the screen to the very bottom. I like building my own levels. I would make them impossible to super easy. I enjoyed stumping my brothers and beating the clock on a hard level. A message from the Microsoft Build Developers Conference which kicked off in San Francisco, Calif., with Head of Xbox, Phil Spencer speaking directly to developers about the following opportunities on Xbox One and Windows 10. · New UWP updates. Phil highlighted that PC game developers will have access to a fully open ecosystem with UWP, with multiple paths provided to deliver both Win32 games as well as UWP titles, the ability to distribute their title in any store desired as well as more predictable performance for features such as modding, overlays, multiple GPUs, and more. · Xbox Dev Mode. Today we announced Xbox Dev Mode, which transforms any retail Xbox One into a dev kit, available today in preview and coming to all Xbox One owners with the Windows 10 Anniversary Update this summer. Developers of all shapes and sizes will be able to use Xbox Dev Mode to build and test UWP apps and games on their retail Xbox One console. Because Dev Mode is in a preview environment today, we recommend only experienced developers engage with Dev Mode at this time. Xbox and Windows Store convergence. The best of the Xbox Store comes together with the best of the Windows Store beginning this summer with the Windows 10 Anniversary Update. The store will work across all devices in the ecosystem and provide developers more choice in how and where they deliver their content and monetize their customers. New support will include features that game developers have come to expect and require from Xbox One into the Windows Store including support for bundles, season passes, pre-orders and more. Cortana on Xbox One. When Cortana arrives on Xbox One with the Windows 10 Anniversary Update, gamers can expect the familiar Cortana experience found on other Windows 10 devices. Cortana will get smarter over time to become your personal gaming assistant and help you find great new games, new challenges or help you with tips and tricks. More specific details to come. Background Music. The Windows 10 Anniversary Update lays the foundation for most requested fan features like background music. Background music is the ability to listen to music from Xbox One apps in the background while you’re doing another activity on the console. This means your music will be played without the app being in Snap mode. You can read more about all the news from Microsoft at Build day one at http://news.microsoft.com/build 2016, and more on the Xbox news at http://news.xbox.com/2016/03/30/xbox-at-build-2016/, posting a little later. Are you interested in joining the Xbox Dev Mode preview? There are a few important points you need to be aware of if you or a colleague want to try out Xbox Dev Mode while it’s in preview. Because this is a preview environment, we recommend only experienced developers try out Dev Mode at this time – it will change the way your console operates and, at this time, may remove content you currently have downloaded. Here are a few things to know and to do to join the preview. 1. You cannot join the Xbox Dev Mode developer preview if you are currently enrolled in any other Xbox One preview group, this includes the Xbox One System Update Preview Program. You can opt-out of the System Update Preview Program through the Xbox Preview Dashboard app. 2. You must first join the Windows Insider Program and download the latest Windows Insider SDK Preview release on a Windows 10 PC. 3. You must download and install Visual Studio 2015 Update 2 on your Windows 10 PC. 4. Download and run the Dev Mode Activation app from the Xbox store on your console to gain access to the Dev Mode software that will be made available to you as a member of the Dev Preview Group. 5. When you run the app you will receive an activation code. 6. Create a Windows Developer Center account through a PC web browser at http://dev.windows.com. This requires a one-time cost of $19 USD for a personal account. Accept the terms and conditions, and enter that activation code; this gives your Xbox One the entitlement to join the Dev Preview Group. 7. Your console will download a system update and may reboot during installation. 8. Once downloaded, go back to the Dev Mode Activation app to finish activating Dev Mode on your retail Xbox One, transforming it into a dev kit; your console will reboot again and the process will be complete. 9. While your retail console is in Dev Mode, you will not be able to run your existing Xbox One games or apps. To play your games or apps again, disable Dev Mode to return the console into Retail Mode and play again. 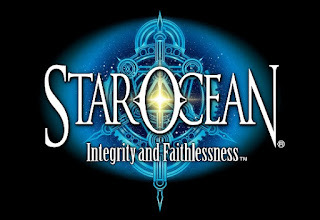 Premier Broadcast Features Story Trailer, Character Spotlights and More, “The Star Log,” a live stream series focused on debuting new content and information for STAR OCEAN®: Integrity and Faithlessness™ premiered last night. In this episode, SQUARE ENIX® debuted a new story trailer highlighting the journey Fidel and his friends must take to protect a mysterious young girl named Relia, who holds the key to the story. The team also debuted character spotlight videos for two of the main characters, Fidel and Miki. Finally, it was announced that players will be able to enjoy the game in dual-audio with the ability to switch between English and Japanese voice tracks with the option for English subtitles. The Star Log #1 broadcast is available to view on the Square Enix YouTube channel at: https://www.youtube.com/SQEXMembersNA. 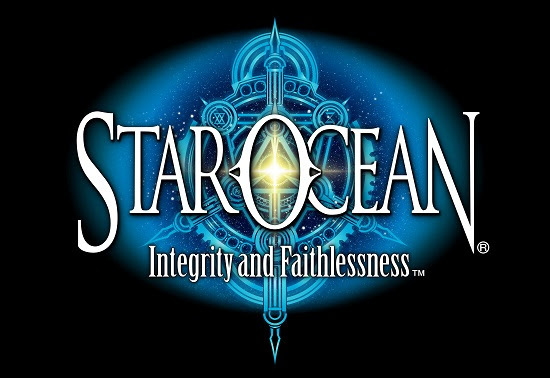 STAR OCEAN: Integrity and Faithlessness will be released for the PlayStation®4 computer entertainment system in 2016 and is not yet rated. Please visit the Entertainment Software Rating Board (ESRB) website at www.esrb.org for more information about ratings. Play the Unravel Open Trial For Free Now! If you haven’t had the opportunity to embark on a journey with Yarny yet, you can do it now! An open trial of Unravel’s™ first level is available on Origin™ for PC, Xbox One®, and PlayStation®4. EA welcomes everyone to experience Unravel’s first level, “Thistle and Weeds”. Players can join Yarny to solve puzzles, explore captivating environments, and uncover a hidden story woven into the fabric of the game. This free trial of Unravel will be available for 10 hours on Xbox One® and Origin™ for PC and is unlimited on PlayStation®4. To join the Unravel conversation, please follow us on Twitter® atwww.twitter.com/unravel_game , Facebook at www.facebook.com/unravel.game/ and Instagram at www.instagram.com/unravel_game/ . For more information, visit www.unravelgame.co .uk. Capcom will release the first post launch character to join the illustrious Street Fighter V lineup. Fan favorite Alex made his first appearance in Street Fighter III back in 1997, and he hits the streets again as a brash grappler whose bold attitude often gets him into trouble. His parents died while he was still young, so he was raised by his father’s friend who taught him everything he knows about fighting. 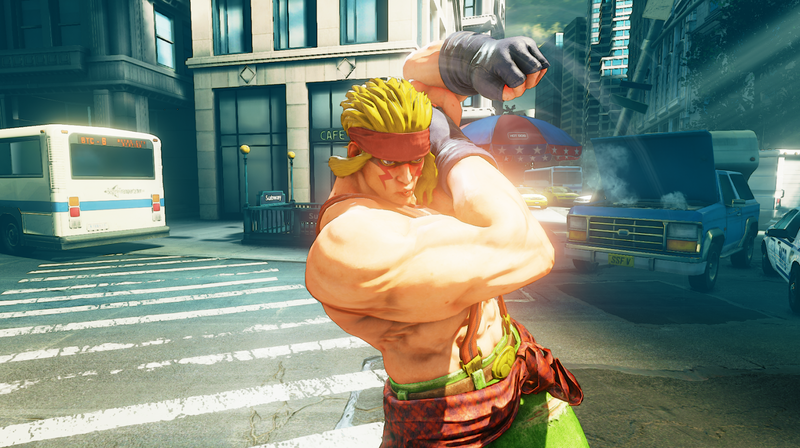 Alex will be battle ready beginning today for all Street Fighter V players on PS4 and PC. Also launching, the In-Game Shop for earned currency (aka Fight Money) lets players spend their hard earned Fight Money to purchase extra game content, such as new characters (100,000 FM each) and Story Mode Costumes (40,000 FM each). Guile, Ibuki, Balrog, Juri, and Urien will be releasing later this year and each will have a Story Mode costume available for purchase using Fight Money. Additional content will be announced at a later date. 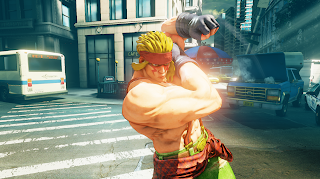 Since the In-Game Shop for real currency (aka Zenny) is not available just yet, Capcom is offering Alex as a free trial period to all players, until the Zenny shop launches. This also applies to any future DLC character that releases prior to the Zenny shop launching. Once the Zenny shop launches, the free trial for DLC characters that released prior to the Zenny shop opening will end, and players will need to use Fight Money, Zenny, or the Season Pass to access those characters. Demonstrations: Learn the nuances of battle through helpful demonstrations and tutorials. Contains content for each of the 16 characters, as well as advice geared towards players of all skill levels. Trials: Put your skills to the ultimate test with combo trials for all 16 characters, ranging from basic to pro combos. Completing Trials will earn players additional Fight Money. Salty from a close loss online? Want revenge? Players can now play a 2/3 set in Ranked Match when both players accept the rematch. In addition to all of this new content, numerous bug fixes and game improvements have been implemented. To learn more about Alex and the recent game updates, go here. Finally, as a way of thanking players for their patience and understanding throughout the beta phases and game launch, Capcom is making Ryu and Chun-Li’s Story Mode Costumes available for free to all users. This is an 80,000 Fight Money value; almost the full amount of a new character. 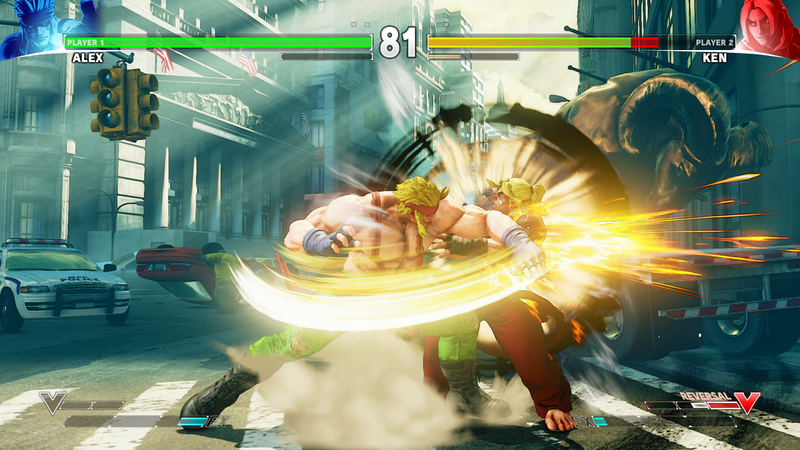 Capcom is planning to release a steady stream of new characters, modes and other enhancements throughout the year and the Street Fighter V team is excited to begin the robust post launch support this week. As the 2016 Con season begins, its time for fans and cosplayers to get into character! What better way to show your pride then to rock the essentials of your favorite superhero or villain? Just in time for the film premiere of Suicide Squad and Batman Day 2016, DC Entertainment has just announced two book/mask sets featuring Harley Quinn and Frank Miller’s Dark Knight and a new Batman box set featuring the work of Scott Snyder and Greg Capullo! Following the Batman: Court of Owls and Deathstroke book/mask sets, fans will have a chance to not only read some amazing and thrilling issues of their favorite dark guardian of Gotham and charmingly-psychotic villain, they can now put on their mask and create their own stories! The Harley Quinn book and mask set includes a highly detailed PVC mask plus a copy of the HARLEY QUINN VOL 1: HOT IN THE CITY Trade Paperback, collecting issues #0-8 of her smash hit series. The Harley Quinn set will be on sale August 3rd for $34.99. The Batman: Dark Knight Returns book and mask set features Frank Miller’s vision of the Dark Knight, including a highly detailed PVC mask plus THE DARK KNIGHT RETURNS 30TH ANNIVERSARY EDITION Trade Paperback, collecting the original groundbreaking 4-issue mini series. The Batman: Dark Knight Returns book and mask set will be on sale October 5th for $39.99. And if you are worried that your Batman book/mask set won’t make it in time for the Batman Day celebration in late September, you are in luck with the newly collected Batman box set with the first three volumes of Scott Snyder and Greg Capullo’s epic run with the caped crusader! The new, slipcased set will include BATMAN VOL. 1: THE COURT OF OWLS, BATMAN VOL. 2: CITY OF OWLS and BATMAN VOL. 3: DEATH OF THE FAMILY Trade Paperbacks. Enjoy the thrilling stories that introduced the deadly Court of Owls and took the Joker to new, horrifying levels of insanity! 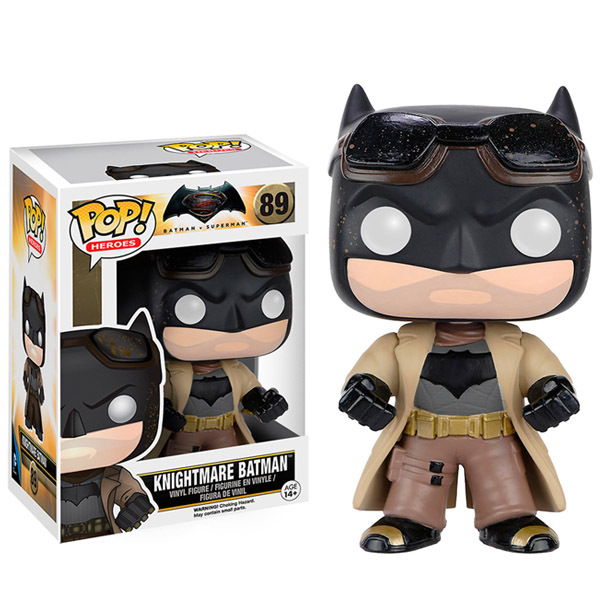 The Batman box set will be on sale September 7th for $49.99. Xbox wanted to share the news that this April, Gears fans will get their first taste of Gears of War 4, and the opportunity to help shape the multiplayer experience with the Gears of War 4 Versus multiplayer beta, exclusively on Xbox One. 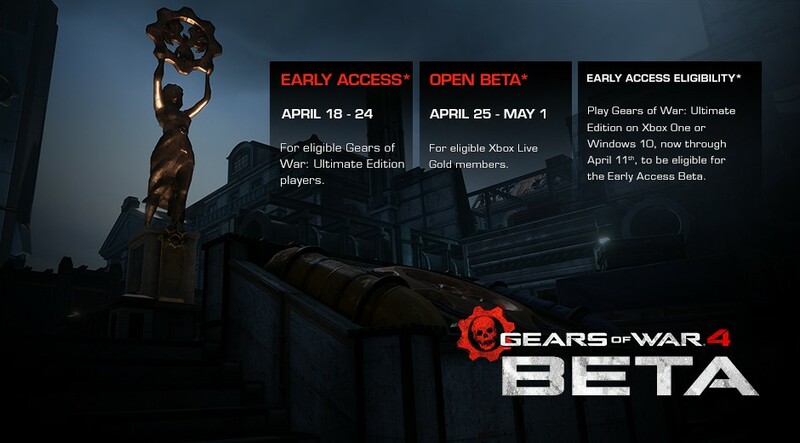 Beginning on April 18, fans who’ve played Gears of War: Ultimate Edition on Xbox One or Windows 10 will begin to receive tokens in waves for early access to the beta. Following the conclusion of early access on April 24, all qualifying Xbox Live Gold members on Xbox One will be invited to join the beta until it ends on May 1. · The Gears eSports ESL Pro League Season 2 finals will be LIVE from Boston at PAX East on Saturday, April 23. Fans can tune into the Gears of War Twitch channel to watch the best Gears of War ESL Pro teams square off for the championship title. We are also excited to announce we will be increasing the prize pool for Season 2 to $60,000 thanks to fan support of our Season 2 bundles! During the stream, we will also debut the worldwide exclusive reveal of a new competitive game mode for Gears of War 4. Those watching from home can tune into the stream for instructions on how to get the special Season 2 Finals weapon skin and a chance to win a limited edition custom Gears of War 4 console. · The Out of the Shadows: Inside Gears of War Multiplayer with The Coalition panel on Sunday, Apr. 24 at 10:30am in the Albatross Theater featuring a deeper dive in Gears of War 4 multiplayer and some special surprises. We’ll also be offering up some great prizes to any of our fans who turn up in Gears of War Cosplay! Gears fans who can’t make the show can take part in the fun from home LIVE on the Gears of War Twitch channel! · Lastly, fans at PAX East will be treated to Gears of War 4 Versus multiplayer located in the Xbox Booth. *To qualify for early access to the Gears of War 4 Multiplayer Beta on Xbox One, log in to Xbox Live and play Gears of War: Ultimate Edition on Xbox One or Windows 10 by 11:00PM PDT, April 11. Tokens for the beta will be distributed in waves through the Xbox Live messaging system and begin arriving Monday April 18. For both Early Access and Xbox Live Gold periods, must be 17+. 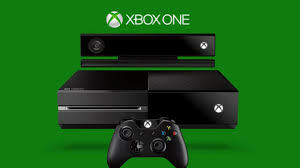 Xbox One, broadband internet (ISP fees apply) and Xbox Live Gold membership (sold separately) required. Beta dates, content, and features subject to change. Not available in all markets. See https://GearsofWar.com for the latest information. Don’t miss out on being a part of a Nintendo first! On March 31, Miitomo, the company’s first-ever smart device application, is launching in the United States and several other countries. Miitomo is a free-to-start social experience that lets users spark one-of-a-kind conversations with friends in a whole new way using Mii characters. The app recently launched in Japan and was downloaded more than 1 million times in its first three days of availability, while achieving the #1 most downloaded free app status in both the App Store and Google Play storefronts. Getting started with Miitomo and being a part of this Nintendo milestone is easy: After downloading the application for free on the App Store for iPhone, iPod Touch or iPad, along with Android devices, users create a Mii character and customize facial features like eyes and hair, as well as voice and personality. Users can also use the camera on their smart devices to snap a photo of themselves, which can be used to create a Mii, or they can simply import their Mii from their Wii U or Nintendo 3DSsystems using a QR Code. Once their Mii is ready, users can add friends who already have the app in person, or by linking the app with their existing Facebook or Twitter accounts. After that step is complete, it’s time to answer some questions! Miitomo creates conversations and turns discussions into a form of play by prompting users to answer all kinds of fun questions. How would you define your fashion style? What’s the weirdest thing you’ve ever eaten? If you were given ten grand to spend in one day, what would you do? The answers get shared among friends, sparking interesting conversations – part of the fun is discovering unexpected facts about your friends. When users hear how their friends responded to questions, they can give answers a “heart” or a written or picture comment. To preregister for Miitomo, users can sign up for a Nintendo Account at https://miitomo.com before March 31 to receive an email when the app is ready to download. People that create their Nintendo Account and preregister before March 31 will also receive Platinum Points for the new My Nintendo rewards program, which will simultaneously launch with Miitomo. Aiming to be much more than a standard rewards program, My Nintendo is a comprehensive service that rewards users for interacting with Nintendo products and services in a variety of ways. Miitomo users who link the app to their Nintendo Account will be able to take advantage of My Nintendo to enhance their experience. Platinum Points can be earned by interacting with Nintendo apps and services, including Miitomo. Gold Points are earned when purchasing digital versions of games from Nintendo.com or Nintendo eShop on Wii U and Nintendo 3DS. Both Platinum and Gold Points can be redeemed for rewards like games, download content, in-app items and eShop discount coupons. In addition to Miitomo and the My Nintendo program, Nintendo is also launching an enhanced Wii U and Nintendo 3DS shop on Nintendo.com on March 31for users with a Nintendo Account to purchase digital games. Featuring an expanded catalog of more than 2,000 games, this digital store can be accessed on personal computers or smart devices. The shop serves as an additional purchase option to Nintendo eShop on Wii U and Nintendo 3DS, with all purchases being sent directly to users’ Nintendo 3DS or Wii U systems for download. Users can now easily find and purchase games that are new, popular and on sale, as well as use filters to search by genre. Purchases of games from this site, as well as Nintendo eShop, will earn My Nintendo Gold Points. For more information about Miitomo and My Nintendo, visit https://miitomo.com. Kara and Winn question what Siobhan is and she gets mad quickly that no one is able to tell her the truth of what she is. Siobhan begins to hear a noise and leaves in a huff. She gets distracted by Livewire's rant about Supergirl and Cat Grant. Cat Grant gives Kara dating advice on how to get James which is by playing hard to get. 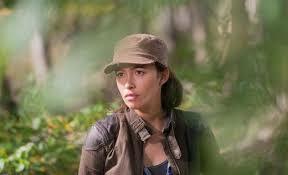 Siobhan is waling on the street and begins hearing a loud noise and walks away. She shows up at Catco and ends up screaming at Kara which knocks her out and forces her out a window. She is caught by The Flash. She flies off as she has to get back to the city and she notices him running below. She flies back down and they are both confused on who the other one is. 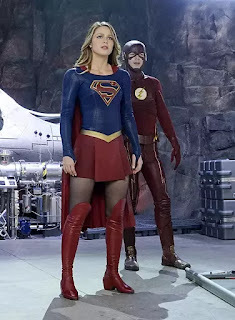 Barry begins to list other people in his Earth and realizes he is on the wrong Earth and asks Kara for her help. (great start to this episode). Barry is with Kara and trying to do research and realizes that no one else exists on this Earth. Barry is amazed that she is an Alien and Winn understands the multiverse theory. Barry realizes that he is stuck here. (there is fantastic chemistry between Barry and Kara) Winn picks on James for being slightly jealous. 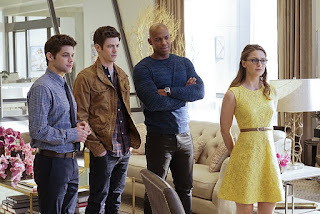 Attractive racially diverse cast of a CW show is what Cat calls the group of Winn, Kara, Barry, and James. She names Barry the blur. Siobhan visits a mystic shop to see her Aunt and asks for her help. The aunt knows that Siobhan is hearing a calling of the banshee. She is cursed and that if she wants the whispers to stop she has to kill the person who has wronged her. She hatches a plan to get Livewire. Cat Grant refuses to leave when she hears about the escape. Kara enlists Barry's help. DEO welcomes Barry's help. Siobhan (Silver Banshee) teams up with Livewire to take out Kara, Cat, and Supergirl. Barry wants to make a plan but Kara wants to run in and defeat Livewire. Siobhan shows up and is introduced as Silver Banshee and looks like a Day of the Dead reject. Barry calls it and they retreat after being knocked down. Barry gives Kara a pep talk about dealing with the public turning on her. He says it will just take time. Siobhan and Livewire show up to Catco. Winn tries to talk Siobhan down and begs her to let him help her. Barry and Kara head out to save Cat who has been kidnapped. As Supergirl gets hit with a lot of electricity she falls and is protected by the people. Firefighters hit Livewire and Siobhan with water that knocks them out with the electric current. Kara helps Barry to get back home. They both use their speed to get Barry back. Barry gives her relationship advice and tells her to go for it. They take off running and Kara is able to throw Barry into a breach. She makes a move on James and kisses him. James turns around and walks out in what appears to be a trance. Kara rushes out and realisez that everyone is in some type of trance and headed somewhere. Fangirl Thoughts: Great crossover episode. The chemistry between Barry and Kara makes you want that ship even though you know you are supposed to be supporting her with Olsen instead. I look forward to seeing more crossover situations. The potential between all these shows is to good to pass up. 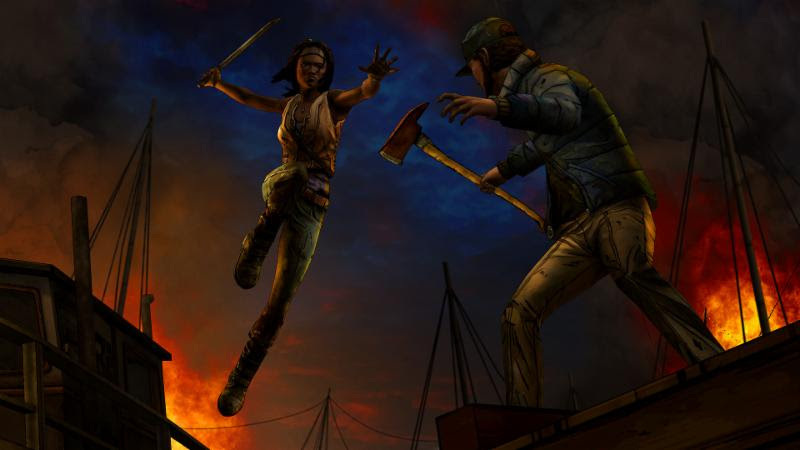 Check out these screenshots and an all-new launch trailer for 'Give No Shelter,' the second of three episodes in The Walking Dead: Michonne - A Telltale Miniseries. Episode 2: 'Give No Shelter' will be available starting Tuesday, March 29thon PC/Mac via the Telltale Online Store, Steam, and other digital distribution services, the PlayStation®Network for PlayStation 4 and PlayStation 3, the Xbox Games Store for Xbox One® and Xbox 360® video game and entertainment system from Microsoft, for compatible iOS devices via the App Store, and for Android-based devices via Google Play and the Amazon Appstore. The miniseries will conclude with the third episode, 'What We Deserve,' in April. 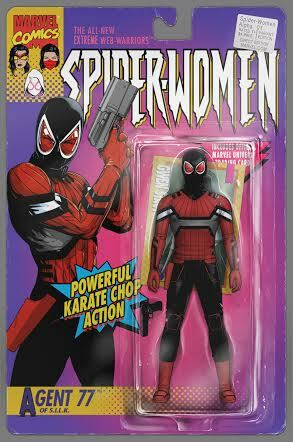 The miniseries stars the iconic, blade-wielding character from Robert Kirkman's best-selling comic books, portrayed in-game by award-winning actress Samira Wiley (Orange is the New Black). Haunted by her past and coping with unimaginable loss and regret, the story explores Michonne across a three episode miniseries event. 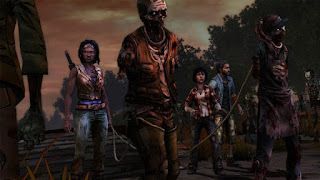 Players will dive into the mind of Michonne to discover what took her away from Rick, Carl, and the rest of her trusted group... and what brought her back. 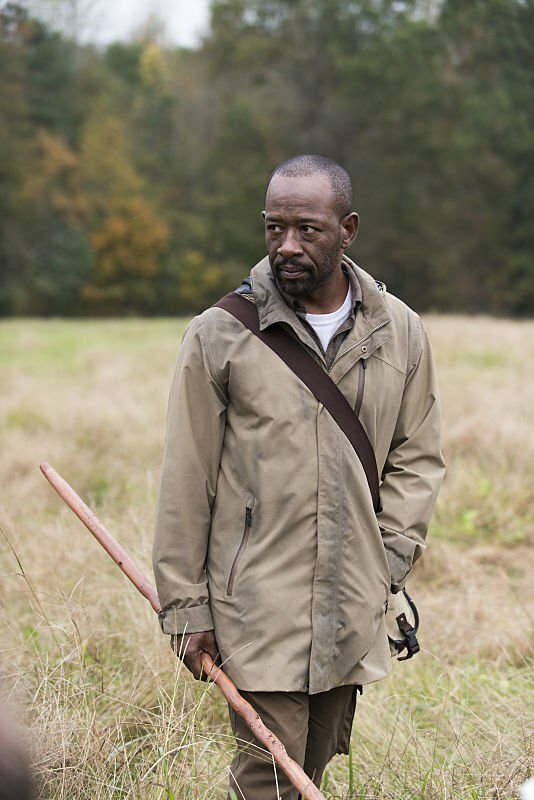 In Episode 2, 'Give No Shelter,' a daring escape from the floating colony of Monroe sees Michonne, Pete, and Sam running for their lives. 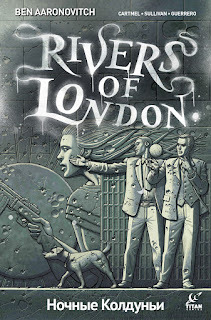 An all too brief reprieve is soon shattered; the leaders of Monroe don't forgive and don't forget. With memories of her daughters bleeding ever further into Michonne's blurred reality, her world is becoming increasingly fractured... just at the point when she'll need all of her skills to survive. The Walking Dead is set in the world of Robert Kirkman's award-winning comic book series and offers an emotionally-charged, tailored game experience where a player's actions and choices affect how their story plays out across the entire series. The Walking Dead: Michonne - A Telltale Miniseries Episode 2 - 'Give No Shelter' is rated 'M' (Mature) for Intense Violence, Blood & Gore, and Strong Language by the ESRB. 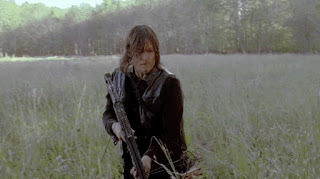 For more information on The Walking Dead, Robert Kirkman, and all of his titles, visit www.Skybound.com and www.TheWalkingDead.com. In less than two weeks on April 5, Quantum Break – a revolutionary new gaming and entertainment experience developed by Remedy Entertainment – launches worldwide on Xbox One and Windows 10. To celebrate the launch of Quantum Break, 11 participating Microsoft store locations in the U.S. and Canada will be hosting launch events on April 4, where fans will be able to get hands-on with early gameplay and enjoy food and music. In addition, the first 200 fans to purchase Quantum Break at each location will receive a limited-edition Quantum Break poster as a gift. Quantum Break launch events will be hosted at the following locations on April 4. Please visit the Microsoft stores Facebook for additional details about each event. Fans who pre-order Quantum Break for Xbox One at participating retailers, including Microsoft stores, or through the Xbox Store will also receive a full-game download of Alan Wake’s American Nightmare via backward compatibility. In addition, if you pre-order Quantum Break at Microsoft stores by April 4, you will receive a $10 Microsoft store gift card or place your pre-order at microsoftstore.com and receive a $10 Xbox gift card digital code. 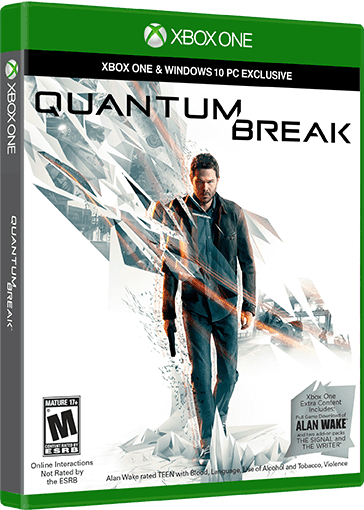 Also, anyone who pre-orders the Xbox One digital version of Quantum Break through the Xbox Store, purchases an Xbox One digital token at participating retailers, including Microsoft stores, or pre-orders an Xbox One Quantum Break bundle that includes the title as a digital download token by April 4 (April 10 for the bundle in U.S.), will receive the Windows 10 version of the game, downloadable at the Windows Store via redemption code. For full details, please visit quantumbreak.com. For fans unable to participate in the launch festivities in person, Remedy Entertainment is bringing the game straight to you in a developer-hosted launch livestream. Tune-in to the Quantum Break livestream on Twitch near launch; we’ll have more details to share in the future! The Spider-Event of 2016 is here! This April, Silk, Spider-Woman and Spider-Gwen unite for a story too big for any one of their titles to contain! Today, Marvel is pleased to present your first look at SPIDER-WOMEN ALPHA #1 – kicking off the epic 8-part universe hopping crossover! 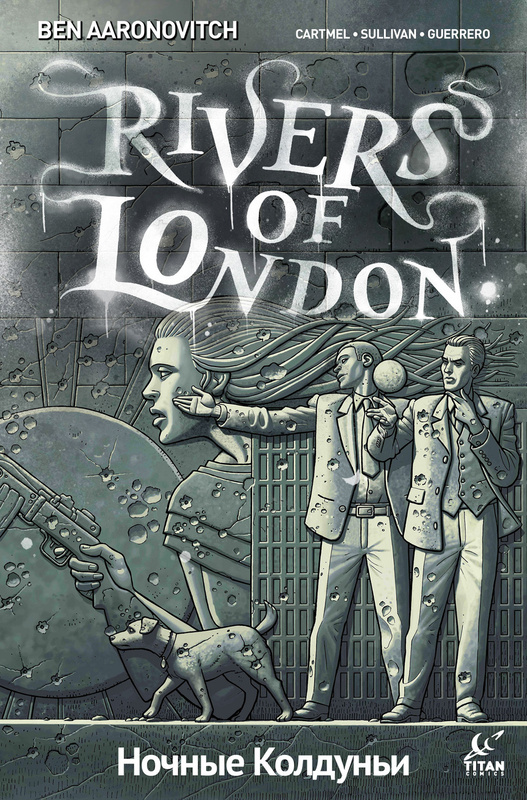 Blockbuster writers Jason Latour, Dennis Hopeless and Robbie Thompson are joined by a dazzling array of artists, including Vanesa Del Rey, Bengal, Javier Rodriguez, Tana Ford and more to bring you a story you won’t want to miss! Don’t miss one minute of the excitement as these three wallcrawling warrior women swing into action in SPIDER-WOMEN ALPHA #1 this April! Throughout Rise of the Tomb Raider we’ve seen Lara Croft rise to a world fiercely protecting its secrets while overcoming a ruthless organization known as Trinity, prevail over the brutal conditions of Siberia in the ultimate woman-versus-wild tests of stamina in Endurance Mode, and most recently navigate through myth and reality in conquering the curse of Baba Yaga. The next and final piece of downloadable content in Rise of the Tomb Raider will have Lara encounter an army of nightmarish predators in Cold Darkness Awakened on March 29 in the Xbox Store and Windows Store. Cold Darkness Awakened is included in the Rise of the Tomb Raider Season Pass, which also contains the Endurance Mode and the recently released Baba Yaga: The Temple of the Witch DLC. 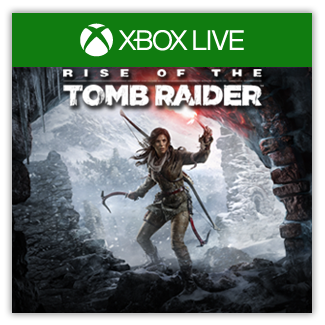 For those who haven’t joined Lara Croft on her first Tomb Raiding expedition, Rise of the Tomb Raider for Xbox One and Xbox 360 are currently featured in the Xbox Store Spring Sale from March 22 – 28; be sure to check out Xbox.com for more great deals! DC ENTERTAINMENT SCORES ANOTHER TALENT TRIFECTA! DC Entertainment continues to expand its roster of top name talent, announcing today that it has reached agreements with writer Steve Orlando, along with artists Evan “Doc” Shaner and Jesus Merino to create comic book content solely for the publisher’s DC Comics and Vertigo imprints. 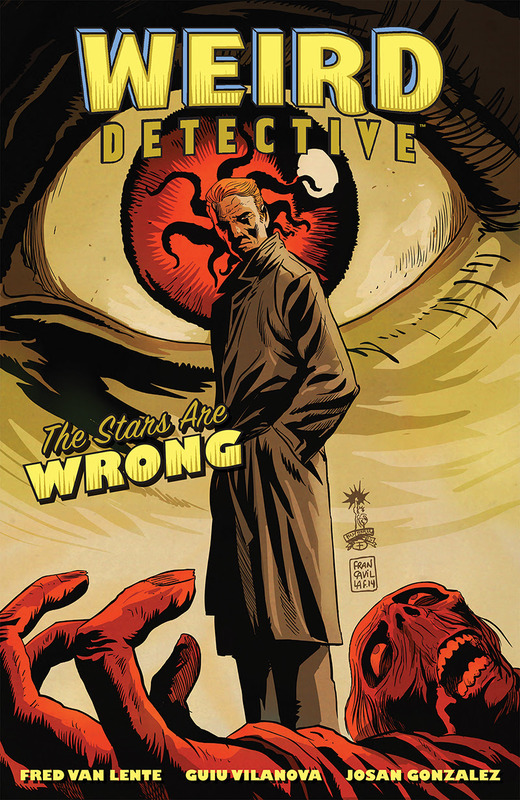 An accomplished comics writer and scripter, Orlando is no stranger to DCE, receiving critical acclaim from outlets including Polygon.com (“Best Comics of 2015”), New York Times, io9.com (“Top 20 Comics of 2015”) and a nomination from GLAAD in the “Outstanding Comic Book” category for his run on Midnighter, the first openly gay male character to star in a comic book. Orlando has also contributed to the DC Super Hero universe with writing credits for Justice League: Darkseid War: Shazam! Spanish artist Jesus Merino has been creating artwork for DC for the past fifteen years. As a penciller, inker and cover artist, he has worked on such titles as Superman, Justice League: Darkseid War: The Flash, The New 52: Futures End and The Flash, among others and is happy to call DC his exclusive home: “It’s an honor to have such a talent as Jesus on board at DC,” said Lee. Orlando, Shaner and Merino are the newest names to be added to this roster, following the announcement last month of talent signings for writer Tom King (Grayson, Omega Men, Robin War), Clay Mann (Poison Ivy: Cycle of Life and Death) and John Timms (Harley Quinn). THE ADVENTURES OF SUPERGIRL goes to print and will ship twice-monthly for $2.99! Due to popular demand, DC Entertainment will now be offering The Adventures of Supergirl as a limited-run six-issue periodical, prior to the collected edition release this fall. The Adventures of Supergirl will now ship twice monthly for three months, beginning with The Adventures of Supergirl #1 (collecting Digital First chapters 1-3) on May 11th, 2016. "The Adventures of Supergirl is a fun, accessible, exciting comic featuring an optimistic and positive heroine going up against some huge threats," Gates told NEWSARAMA in a recent interview. "There are so few books like that in the current comics marketplace, in my opinion, and given the show's popularity, Supergirl should be leading that charge." Paralleling but not duplicating storylines from the Monday night TV show, The Adventures of Supergirl introduces fans to Kara Zor-El, who is determined to grow into the super-hero her powers promise. But are dark forces pushing her to improve faster than is safe? 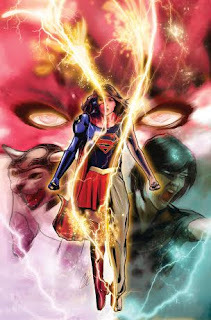 As Supergirl faces classic DCU villains like Rampage, Vril Dox and Psi, she's got no reason to suspect that their attacks have been coordinated, but when the final battle comes to a head, she'll need to use all of her training, her DEO contacts, her friends' talents and her sister's love and support to get through it all! "I just want to thank all the #Supergirl fans for their continued support,” said Gates. “The response to Adventures has been tremendous so far, and I want to thank people for spreading the word about us. "I also wanted to say that I’m beyond thrilled to be writing this book. Supergirl’s one of my favorite characters, and I’m always so excited to write a Supergirl story. I’ve hoped for years that I’d eventually make my way back to the character again." Look for The Adventures of Supergirlboth online now and soon in your local comic book shop. In the latest developer diary, FINAL FANTASY® XIV’s creative staff offers their insights into the challenges of creating a storyline and lore befitting the FINAL FANTASY series. The all-star cast integral in the creation of the critically acclaimed title includes Main Scenario Writer Kazutoyo Maehiro, World Lore Creator Banri Oda, and English Localization Lead Michael Christopher Koji Fox. In this video, each member provides their own unique perspectives and goals in working together to weave the rich tapestry that is FINAL FANTASY XIV. FINAL FANTASY XIV Dev Diary Chapter Two: Story and Lore can be viewed on YouTube at: https://youtu.be/btGqRu1yrPc. FINAL FANTASY XIV Online, the all-in-one bundle, which includes both A Realm Reborn® andHeavensward™, is available on the PlayStation®4 and PlayStation®3 computer entertainment systems, Windows PC, and Mac. 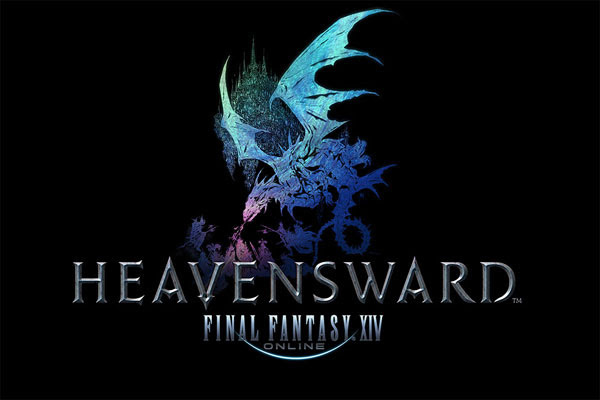 The FINAL FANTASY XIV: Heavensward expansion pack is available as a standalone purchase on the PlayStation®4 and PlayStation®3 computer entertainment systems, and Windows PC for $39.99. A free 30-day trial is included for new FINAL FANTASY XIV accounts, with monthly subscriptions starting at $12.99. IMDB Storyline: Fearing the actions of Superman are left unchecked, Batman takes on the man of steel, while the world wrestles with what kind of a hero it really needs. 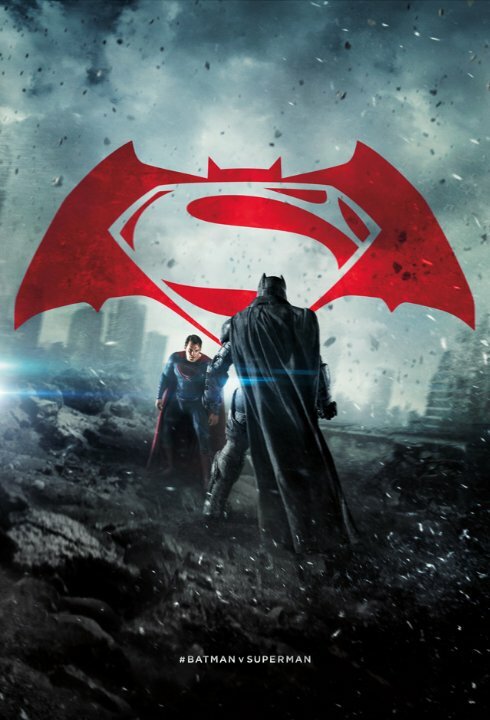 With Batman and Superman fighting each other, a new threat, Doomsday, is created by Lex Luthor. 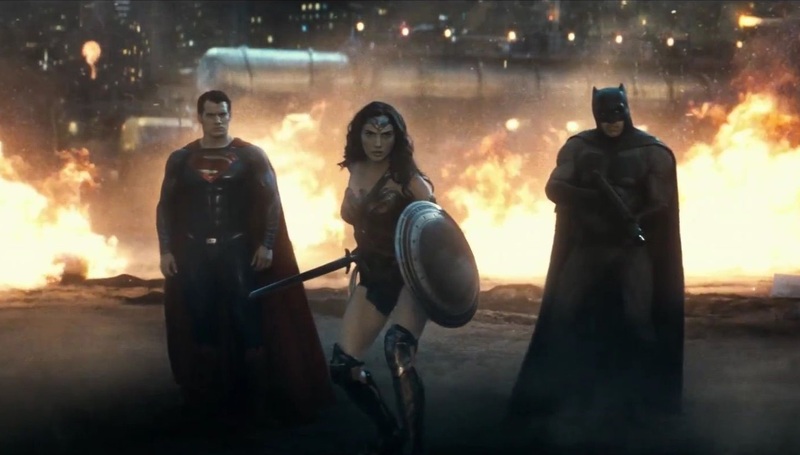 It's up to Superman and Batman to set aside their differences along with Wonder Woman to stop Lex Luthor and Doomsday from destroying Metropolis. 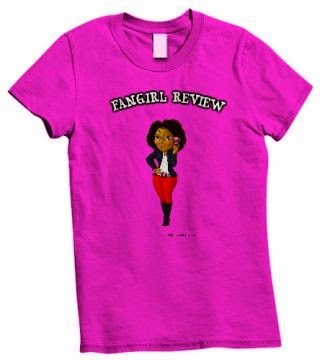 Fangirl's Spoiler-Free Thoughts: The movie is overall well done. 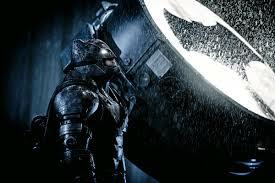 I must admit I was pleasantly surprised at how well Ben Affleck did in the role of Batman. It is a hard role as there are so many greats out there which is the main problem with DC. We all have our favorite version of these iconic characters and we are very harsh when judging the new versions of them. I will say the same for Gal Gadot as Diana Prince/Wonder Woman. The moment that she arrives in the fight you literally get chills and want to cheer. She makes me want to watch her origin story movie. Jessie Eisenberg as Lex Luthor was all bad. He was more of a Joker type character instead of the cool, smooth rich killer that is Lex. The whole portrayal was wrong. The movie starts with the ending of Man of Steel in which Bruce watches as his employees are killed in the aftermath. One major gripe I have about the beginning of the movie is that they did the stupid falling pearls as Bruce's mother is killed. We all know that story; there was legit no reason for it. 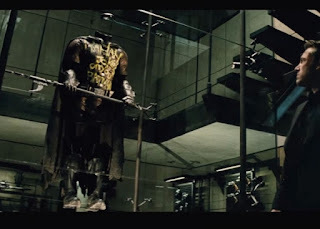 Also another thing that could have been skipped were the nightmare sequences that Bruce had. These nightmares threw off the movie but they at least inspired an awesome pop figure. Overall I recommend the movie. Go see it and let me know what you think. Especially since the fight sequences are awesome! Fangirl Spoiler-Filled Thoughts: (Turn back now!!) The Batman that Affleck portrays is angry and has lost Robin due to "The Killing Joke" story line. In that regard we can understand why he is so mad that he loses others that are in his care. By picking this Batman, I will admit that Affleck was the better pick. I must admit I was sad to see Wayne Manor destroyed. Snickering Moment: Doomsday looks like the troll from Harry Potter and that's all I am going to say about that. Annoying Moment: They pull the very annoying should we be together or is it bad for me as a hero crap with Clark and Lois. This extra angst is not needed in the movie and gets quite annoying. Touching Moment: The death of Superman and the dual funeral for him and Clark one in Metropolis and one in Smallville respectively is delivered well. At the Smallville funeral Bruce tells Diana that they need to gather everyone as they are going to need to be together for what comes next. Weirdest Moment: When they do the origin of story of young Bruce falling into the cave and he sees the bats. They have him rise back out of the hole via a bat tornado and yeah I am going to say that it was a bat vision and that it did not really happen. I am hoping! Take Direct Control of Classic Pokémon in Unique Fighting Game. It’s Pokémon vs. Pokémon as players take direct control of Pokémon fighters like Pikachu, Charizard and Lucario to battle it out in beautiful HD in the Pokkén Tournament game, now available for the Wii U console. Developed in collaboration with BANDAI NAMCO, the creators of the acclaimed Tekken fighting series, Pokkén Tournament employs multiple move sets and abilities for each character, offering hard-core fighting game fans and people new to the genre the chance to master the game. Each Pokémon in the game – 16 total fighters in all! – possesses unique moves (composed of weak, strong and special attacks) that are specific to that character. Pikachu, for example, can use Thunder, which strikes down opponents with a bolt of electricity, while Lucario unleashes his patented Aura Sphere, enveloping fighters in energy. Playing as a Pokémon and performing these special moves is both satisfying and a dream come true for lifelong Pokémon fans. In addition to the main 16 playable Pokémon, 30 additional Pokémon can be called upon to support the player in battle. These support Pokémon include some beloved characters like Diglett and Magneton, and can turn the tide of battle by temporarily helping when called. In the game’s fun single-player mode, players can level up a Pokémon’s stats like Attack and Defense as they battle other fighters in various leagues. Players can even personalize their trainer card with their preferred Pokémon fighter, customized clothing for their avatar and an online greeting. This online greeting will be used when battling otherPokkén Tournament players in the game’s online mode. * In addition to playing online, players can battle friends and family members in local multiplayer matches. When playing local multiplayer, one player plays on the Wii U GamePad controller, while the other uses the TV screen and either a Wii U Pro Controller, Classic Controller or the Pokkén controller (sold separately). Pokkén Tournament also includes amiibo support. Tapping any amiibo figure or card (sold separately) will unlock items in the game. As a bonus, players who purchase the physical version of the game at launch will receive a Shadow Mewtwo amiibo card bundled with the game. When used, this special card instantly unlocks Shadow Mewtwo as a playable character. Pokkén Tournament is now available at a suggested retail price of $59.99, and can be purchased in stores, in the Nintendo eShop on Wii U and at Nintendo.com. 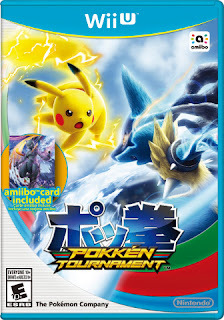 For more information about the game, visit http://www.pokkentournament.com. 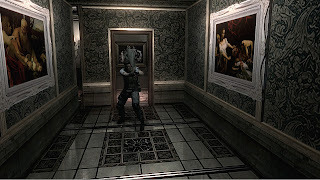 20 years ago with the debut of the first Resident Evil game, the doors to the infamous mansion first opened and ushered in fans to a whole new world of survival horror. Dark hallways and ominous corners led to thrills and chills that would leave a lasting imprint on everyone who dared to see what was behind each new door. Who could forget the creepy turn of the first zombie’s head as it looked up from its feast, the startling surprise of a Cerberus zombie dog crashing through the window of an eerie hallway, the almost Jill Sandwich, or the miracles of typewriter tape and potted herbs? The anniversary celebrations will continue over the next year and the team is already hard at work to deliver some amazing new surprises. Stay tuned to our channels throughout the year for more news on what the team has in store. 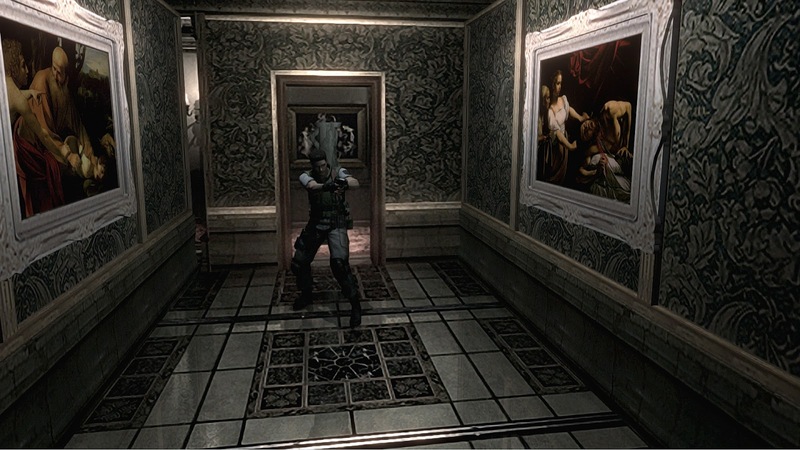 Capcom would also like to take this opportunity to thank our media partners, gamers and the fans that have shown their passion and support for the Resident Evil titles over the last 20 years. There’s no doubt that the continued success of the series is all because of you. 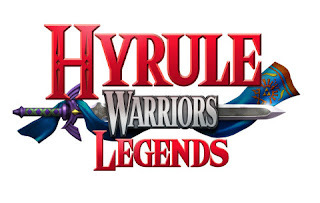 “Newcomers will love the exciting action of Hyrule Warriors Legends, but the added features will even appeal to fans playing the game for a second time,” said Scott Moffitt, Nintendo of America’s Executive Vice President of Sales & Marketing. “This massive game is full of hours and hours of content and is the perfect experience to take with you on the go.” The action-packed gameplay from the Hyrule Warriors game returns in Hyrule Warriors Legends. By playing as classic characters from The Legend of Zelda series, players use over-the-top, visually satisfying moves to battle their way through massive stages full of hundreds of enemies. The deep combat system and wide selection of weapons can be used to clear each stage and take down towering bosses. Multiple modes in the game allow players to play through the game’s intriguing story, battle on a map inspired by The Legend of Zelda for NES and replay favorite levels to find hidden collectibles. Hyrule Warriors Legends introduces new characters to the Hyrule Warriors family. Making her debut in the game is Linkle, a girl who wields two crossbows and lives in a small village filled with Cuccos. Also joining the large cast of playable characters is the mysterious Skull Kid from The Legend of Zelda: Majora’s Mask, as well as many fan-favorite characters from The Legend of Zelda: The Wind Waker, including Toon Link, King Daphnes and Tetra. 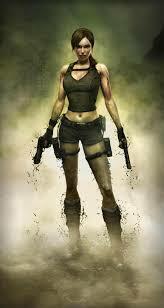 Each one of these characters possesses her or his own weapons, special moves and abilities. The introduction of new characters also brings the addition of new stories, stages and maps. Two new stages with elements based on The Legend of Zelda: The Wind Waker are included in Hyrule Warriors Legends, with recognizable set pieces like the Forsaken Fortress showing up in select stages. By choosing to play as Linkle, players can experience a new story in Hyrule Warrior Legends from the awesome heroine’s perspective. Starting March 25, players can buy a season pass to get access to four DLC packs and a bonus costume for Ganondorf that’s exclusive to Hyrule Warriors Legends. These packs will also be available for purchase individually in Nintendo eShop during the next few months, but players receive a better value by purchasing the season pass. Medli from The Legend of Zelda: The Wind Waker will also be available as a free download starting March 25. For more information about Hyrule Warriors Legends DLC, visit http://zelda.com/hyrule-warriors-legends/dlc. Hyrule Warrior Legends launches on March 25 and can be purchased in stores, in Nintendo eShop on Nintendo 3DS and at Nintendo.com at a suggested retail price of $39.99. For more information about Hyrule Warriors Legends, visit http://zelda.com/hyrule-warriors-legends.